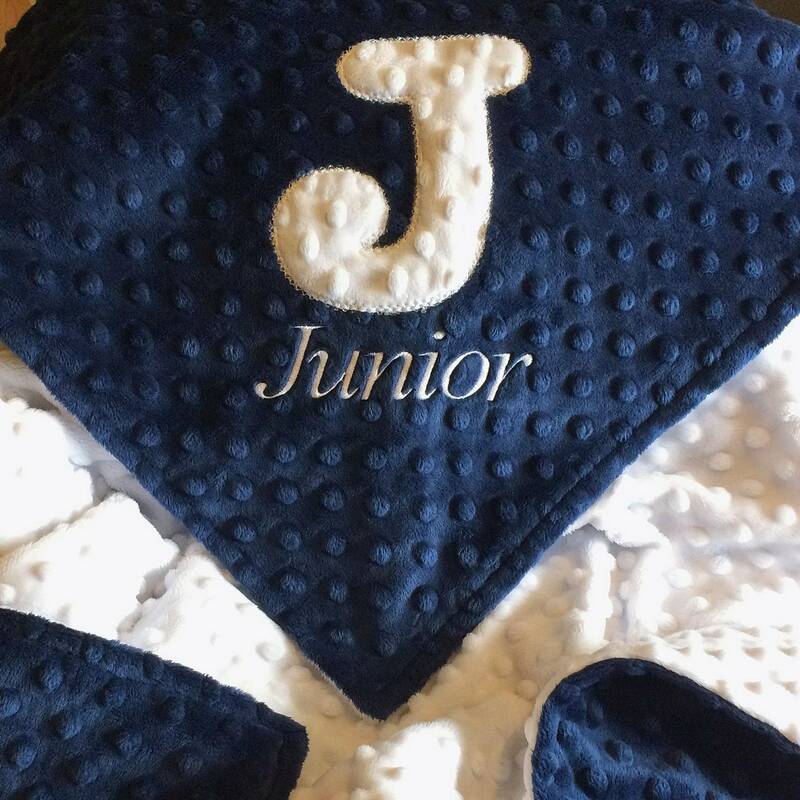 This custom monogrammed baby blanket is made of super soft minky dimple dot material (in your choice of colors) and is perfect for that sweet new babe in your life. 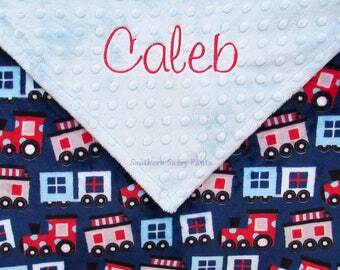 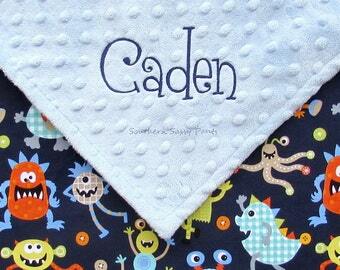 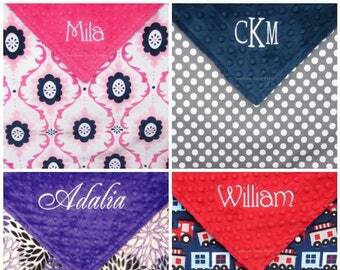 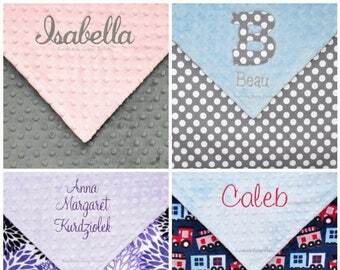 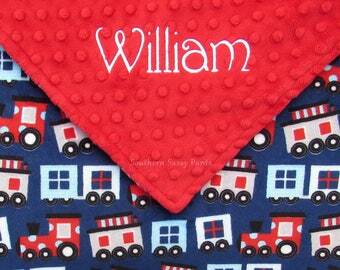 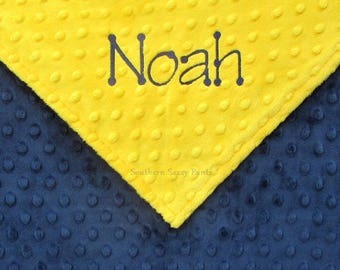 Add an applique initial and embroidered name for a unique baby shower gift that mama and baby will love! 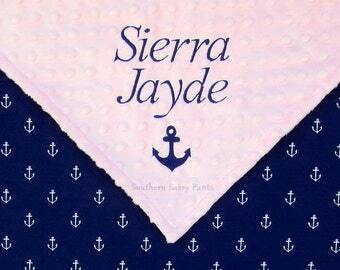 Shown here in navy blue and white, I can use any color combination you'd like.